Leather crafts are some of the coolest DIY crafts ever. 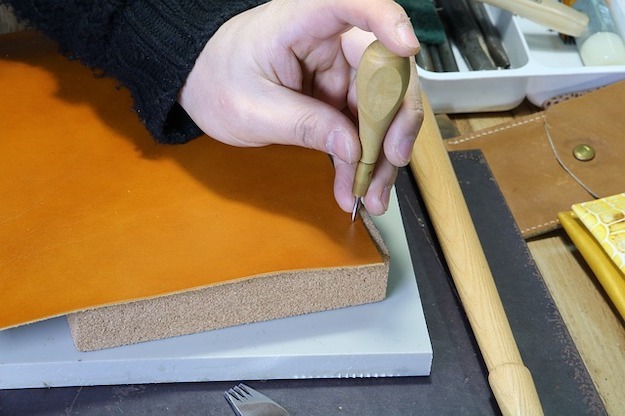 There are many reasons why you should try using leather in making your DIY crafts. There are few materials that have stood the test of time and have remained stylish in appearance, versatile in design and durable in use. 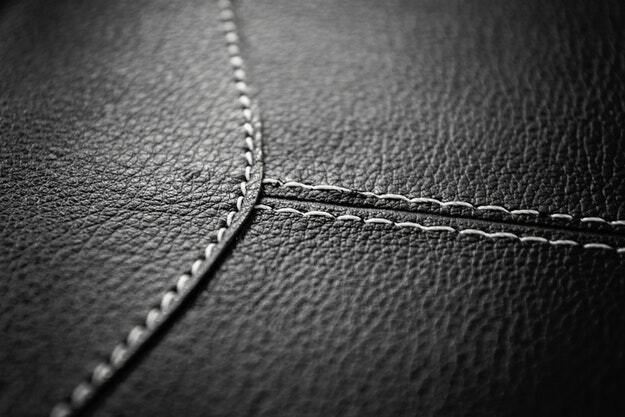 Give a few of these a try and you'll be incredibly happy that you've discovered this list of the best leather crafts. So, put on your creative hat and get started with your DIY leather crafts! The leather is no longer just a thing for bikers or rock stars! When you figure out how to work with it, it's an awesome way to add a touch of edge to your accessories. 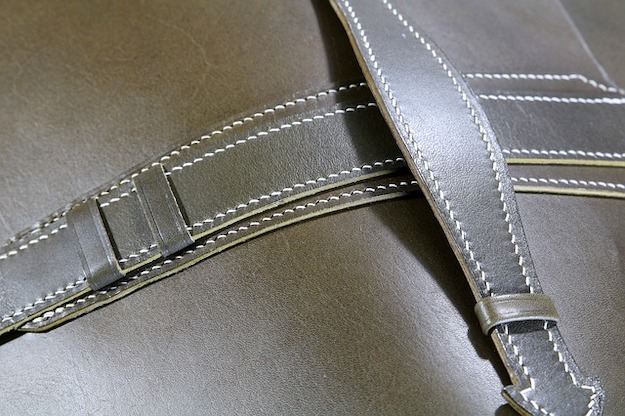 However, if you're concerned about using real leather, but love and enjoy the look, you can easily substitute faux leather for these great leather crafts or even fabric to embrace your individuality. These absolutely adorable DIY leather heart hair clips from Alice and Lois will surely turn heads! They're a perfect treat for yourself or a loved one. The best part of these accessories? You can create whatever designs or patterns you fancy! Got an old brightly colored belt lying around? Turn it into a stylish bracelet with this simple tutorial from The Perfect Pear. It'll make a great accessory for any simple outfit! All you need is a little creativity to revamp an old accessory and make it new again. Lia Griffith shows us how easy it is to make a DIY leather tassel necklace! Once you've mastered your own technique, you'll be trading tassels out in no time. The possibilities are endless when choosing the colors, length and other attributes of these trendy necklaces. These accessories would look gorgeous with a simple top! Express yourself and personality with a funky cuff bracelet! My So Called Crafty Life shows you how typography and motivational words are combined in this super cool DIY project. These will make great personalized gifts to friends! Always getting your potted herbs confused? Label them in style! This project from Chris Loves Julia turns old leather goods into a one-of-a-kind labels that will spruce up your herb garden. Sure, you can use plain labels to define your garden herbs, but that's simply not the DIY way is it? This look provides an earthy theme that blends beautifully with the natural look of your garden. Carry all your essentials in one handmade tote and give your outfit an instant upgrade. This versatile bag can be used for work as well as more casual, dress-down days. I can just imagine myself and kids at a park trail with this on my shoulder! What will you use it for? These whimsical earrings will surely touch of character to your #OOTD. Why not make a pair or two for yourself, and another for your bestie? There are no limits to the color combinations and leather textures you can play with. You can use the teardrop shape cut outs like the ones pictured above, or you can customize and cut out shapes that are uniquely your own! Show off a little personality with this Leather + Flannel Snap Scarf. While this idea may be a little more advanced, the payoff is that much more worth it! Take an old flannel shirt and create something new with just a few strips of leather and snaps. You'll have friends asking where you ‘bought' your new scarf, without a doubt! This bright leather clutch is just the thing if you want to make a statement. Use whatever color you like, but personally, pink is my favorite. If you're leaning a little more on the subtle side, however, you can easily make this clutch reflect your style. Natural, earthy tones would look amazing as well! If you're looking for a new style of shoes that will really take your strutting game to the next level, then give this pair a try! Customize this design as you wish, and you'll never have to worry about having the same pair of shoes as someone else. Here's one bag that will add a boost of personality to any outfit. Love Aesthetics shows you how to craft this unique accessory. Not only can you create a useful leather bucket-style bag, but you can spruce it up with designs. Check out this tutorial to make the trendy piece above, and then customize it to your liking by adding any kind of additional embellishments you like! 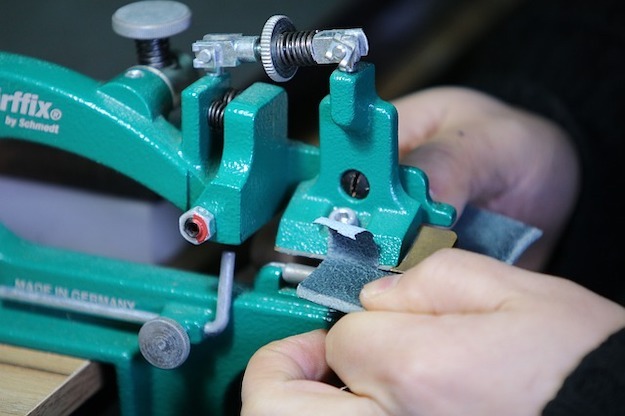 If you think you're not crafty enough to make your own perfect DIY bracelet that can adorn your wrist, think again because Made in A Day gives you both an informative and easy-to-follow tutorial. This simple statement bracelet is perfect to complete a boho chic look for your favorite fall outfit. Leather acts as the perfect background color and texture to other bold colors of beads or other pieces. Stitched By Crystal provides you another great tutorial that you can easily follow to create your own leather clutch. They have a unique tie-up design to make it more elegant and sophisticated. The best part about this accessory is that it can literally go with ANY outfit you pair with it. This classic and traditional tone of leather acts as a ultimate staple piece for your accessory needs. The wrap-around design creates a classy and simple look that will pair beautifully with your favorite outfit! Are your old leather belts just hanging around? Give them a new lease of life with the DIY leather bracelet tutorial at The Sits Girls. You'll be able to actually wear those belts again in a new and refined way! Don'y just let you belts sit in the back of your closet because ‘they still work' but you don't wear them. Breathe new life into them and wear them out in style! You can embellish or leave them plain depending on your style preferences! Let’s not forget the man in our life! Make him this DIY stamped leather tie clip that deviates the norm but has not lost the element of class that is essential to a formal attire. Lovely Indeed will walk you through the process of creating this unique piece. The best gifts from the heart are always made better when that are handmade. Make the man in your life feel special while giving him a gift that he will actually use! Kudos to the clever sisters at A Beautiful Mess who have to produce this cat-inspired DIY leather pouches that is sure to be a hit with your young ones. We can't forget about the kids! Be sure to give them a cute DIY leather accessory too! The best part about these is that, with the simple designs and large stitching, your kids can join the fun to help create their own leather pouch. It is perfect for a treasures they will find exploring! Give it a try! Carry your yoga mat in style! This DIY yoga mat bag from Always Rooney will sure inspire you to become an avid yoga class attendee. As a regular yogi, I've seen quite a few yoga mat carriers, but this one takes the cake! I love the simplicity without compromising on extra space a bag provides. It also doesn't hide the mat like many yoga mat bags do. So go ahead, let your yogi friends ask where you got your new carrier! You know you'll love to answer! Showcase your creativity and productivity with this DIY leather folder from Design Sponge. 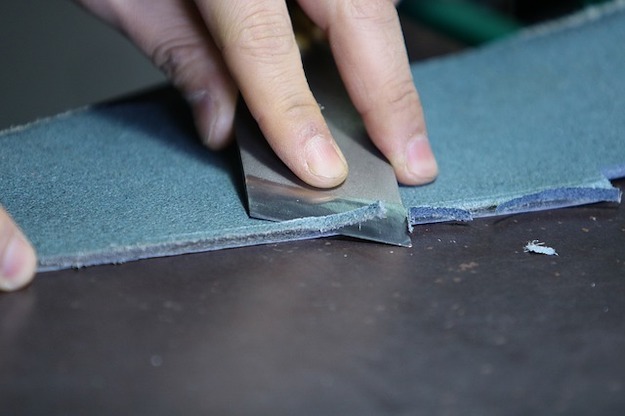 This DIY leather folder will definitely add style and sophistication to any office. Who says a business woman can't be a DIY expert? Take your organization to the next level with these trendy leather folders and let your creative side overlap with your professional life in a classy way! A personalized leather tablet case is something that can be very beneficial for the on-the-go type, but they can be a little expensive. 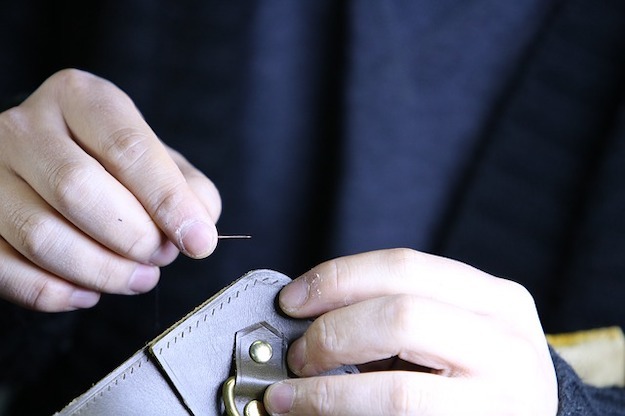 Thanks to Instructables who have come up with this creative and instructional leather crafts tutorial to help you create your own on a budget. While a simple leather cover is absolutely an option, try creating a simple yet elegant design on the cover that will personalize your tablet cover and make it uniquely your own! Imagine all the possibilities you can create once you have mastered the art of using printed leather on all of your DIY crafts! Just like what Lana Red Studio has produced here, unique pieces of wearable art can transform any look into something distinguished and entirely your own. Create an oversized pendant like the one pictured above, or used printed leather to create something a little more on the subtle side. This Aztec-inspired leather tassel bag from Me Sew Crazy will surely provide the perfect statement piece while keeping your belongings safely inside! Take a look at this DIY craft tutorial to learn how you can create this awesome look! It's perfect for fall, so get crafting! There you have it – 22 of the best DIY craft projects using simple yet stylish leather! If you are just getting started with leather crafts, just a heads up, “it’s awesomely addicting”! So, I hope that this list was able to inspire you to buy a good piece of leather and start DIY-ing! 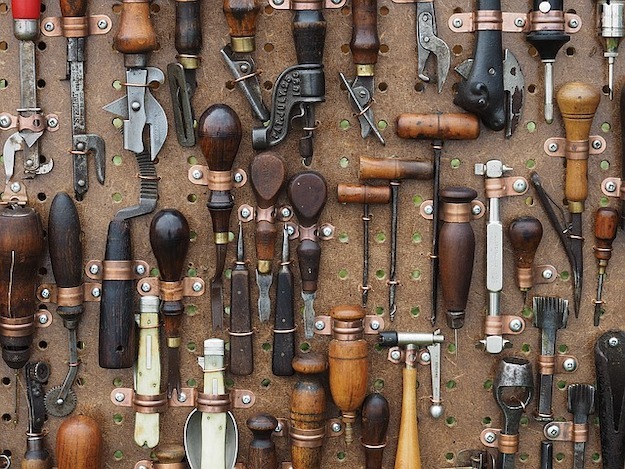 Which DIY leather craft is your favorite? Let us know in the comments below.